Wednesday saw yet another humdrum crude trading session, with the impact of an unexpectedly steep build in inventories offset by a third straight drop in gasoline stocks. 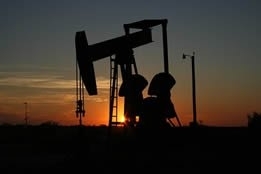 The U.S. Energy Information Administration revealed that crude inventories rose 7.1 million barrels last week, far exceeding analysts' expectations for a 1.2 million barrel build; however, gasoline stocks fell 4.2 million barrels compared to expectations for a 2.1 million drop. While an argument could be made that this signifies healthy demand, which analysts insist is necessary for strong crude prices, Brent on Wednesday settled at $65.99 per barrel, up a paltry 13 cents, and West Texas Intermediate ended down 34 cents at $56.22 per barrel. But as Jim Ritterbusch, president of Ritterbusch and Associates, pointed out in a note, "Selling in equities played a significant part in today's oil price weakness." Phil Streible, senior market strategist at RJO Futures, told Bloomberg television that three factors could move crude above its current flat state: a U.S./China trade deal, which is necessary to improve China's economic standing and boost demand; and the U.S. rig count, which he said is now at a nine month low, which could contribute to a tight market and therefore escalated prices. Streible's third factor is U.S. inventory at Cushing, Oklahoma, which he also described as tight at 48 million barrels: "If we start to see a bit more tightening going on in Cushing, we could see oil prices start to trickle higher as we come to the [summer] driving season." Streible's concern about demand, which is shared by so many in the analytical community, is something that presumably baffles Michael Wirth, CEO of Chevron, who told Bloomberg television, "we still see demand very strong this year, despite the concerns about the state of the global economy." And partly on the presumption that demand will continue to be strong in the foreseeable future, Exxon Mobil on Wednesday announced that its capital spending will grow by $4 billion this year, to $30 billion, and that next year it will spend $33 billion to $35 billion, and $30 billion to $35 billion in the following years through 2025 - to focus on deepwater offshore drilling and other projects. Unfortunately for the energy giant, the news caused Exxon shares to drop by 1 percent; however, the company's stock is still up more than 16 percent this year. 2020 is clearly price-driven, so the temptation to "cut corners" is great. Jason Ho has 15 years of experience, mainly with physical suppliers.